Let’s face it – being a mum is a CRAZY, often tiring business. We’re racing here, we’re racing there….we’re racing EVERYWHERE! Sometimes it’s a mystery how we are able to keep our energy up as a busy mum. Thankfully there are a few things we can do to help us on our mission to survive the day, and so here are my top tips for keeping your energy up as a busy mum. Avoid caffeine after 3pm – caffeine can lurk in your system for up to 12 – 14 hours – eek! – making it difficult to get to sleep. Just don’t do it. Try to get into bed an hour before your sleep time if possible (I know, easier said than done but it’s all about the reverse lie-in these days!). This will give you plenty of time to wind down and settle your manic brain, ready for sleep. Don’t be tempted to look at your phone during this time as it’s been shown to delay your sleep by an hour – switch it onto Airplane Mode and avoid that sleep disturbing blue light and screen flickering, and be done with it until the morning or else face the wrath of its stimulus and sleep disturbing ways. Don’t be tempted to watch TV in bed…feel good books or mindless magazines are what you need at this time of day. Go to bed at a regular time so your body gets used to a pattern and have some sleep friendly rituals like 7-11 breathing, or even yoga in your bed (yes, really!). You know what they say, you are what you eat – although you may be tempted to comfort eat on carbs throughout the day, this is a one way ticket to an energy crash! Instead, try to fuel your body on whole-grain, low-glycemic carbohydrates which take longer to digest, some examples of which can be found here. When it comes to avoiding having a melted mum brain, some foods are golden for brain power. Tumeric, salmon and broccoli are all winners on this front. 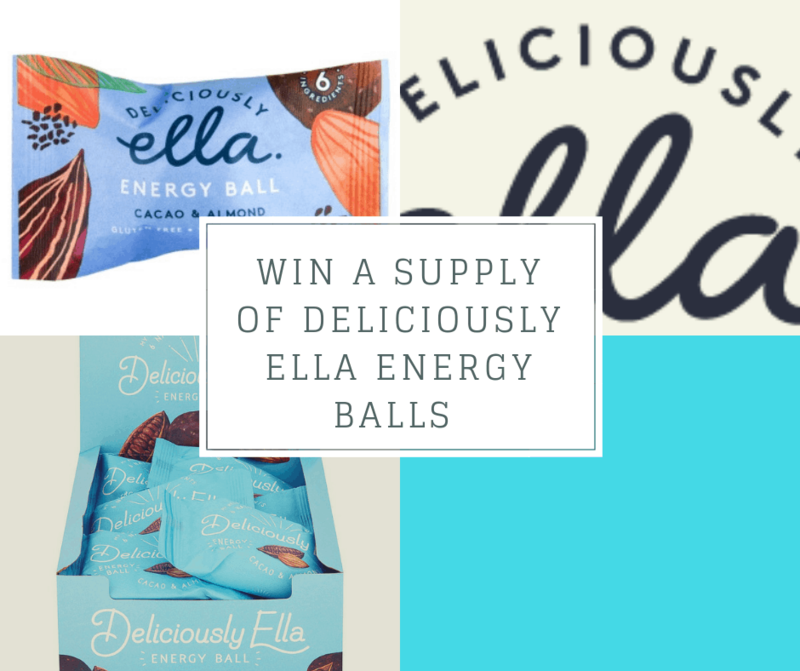 I also love to tuck into Deliciously Ella’s Energy Balls for a healthy snack that keeps you powered up and exciting news! – we have some to give away below!!! You know you’re flagging and you know you need a pick me up – but what? 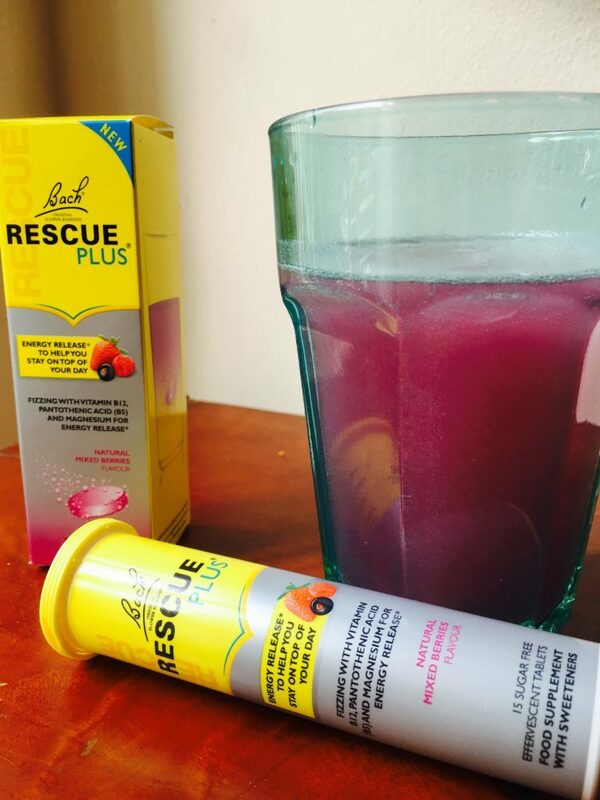 At these times, my absolute go-to is Bach Rescue Plus. These effervescent tablets with vitamins, minerals and flower essences have saved me on numerous occasion. Containing Vitamin B12, pantothenic acid (vitamin B5) and magnesium contribute, they aid in the release of energy from food and reduction of tiredness, and the zinc which they also include supports normal cognitive function. Ratherdelicious and a serious ally in keeping me going even on the most hectic days, feeling energised and full of vitality – I literally don’t know where I would be without this (probably in bed!). One of the first signs of being dehydrated is feeling tired, so if you’re not drinking enough water throughout the day – and the current recommendation is about 9 cups of fluid a day – then you’re going to struggle on the energy front. If you find it difficult to find the time to even grab a glass of water, ensure you’ve always got a big old water bottle within arm’s reach that you can dip into and fill up throughout the day. OK, I know this is once again easier said than done because as busy mums finding the time to exercise is tough beyond belief, and then there’s the challenge of finding the inclination too; but carving out just ten minutes if you can two or three times a week will really help boost your energy levels because exercise pumps oxygen and nutrients throughout your body, helping it to work more efficiently. I recommend getting started with one of these super quick at home work outs. Do you have troubles keeping your energy levels up as a mum? Have you tried any of the above tips? Do leave a comment and let me know! Previous Children and social media: Is social media teaching children to “selfie harm”? Bach, Rescue remedy really helped me when I first started struggling with panic attacks. – this looks really good. I’m terrible for going to bed early. I’m up until midnight most evenings doing blog work! Hmmm, it seems I need to switch my pick me up coffee for a pick me up purple thingy! These are all really good tips and can be applied to those who dont have kids too! Thanks for these tips. I should really be going to bed eariy. I’m terrible for checking my phone in bed, what on earth do i think is going to have happened that i need to see right then? I know your right about staying hydrated and I’m terrible at it. I’m forever forgetting to grab a drink and when I do its usually fizzy. I am so with you on all of these! Especially the exercise. Nothing makes me feel better than exercise. Which I am missing out on this week but pacing the floor is exercise right? Thanks so much for hostessing #coolmumclub and I apologize for this being so late. I will be taking a little hiatus for awhile to deal with my personal life. But I shall return. I’m an early to bed early to riser! Great tips thanks! I really struggle with my energy levels, I find though if I get more sleep and eat more healthy I feel loads better. I usually turn to green tea for energy. Early mornings are the hardest for me. I always find it hard to get to sleep, then I struggle to get up in the mornings. Doing my best to eat well at the moment (eating more healthily than I have for years), as I’m trying to lose weight, but suspect that my reduction in calories is impacting on my energy, as I’m permanently tired. I’d love to say a brisk walk in fresh air but a good strong coffee sorts me right out! I’m getting better at earlier nights. Sleep is so important but I do wish I could get better at exercising regularly.